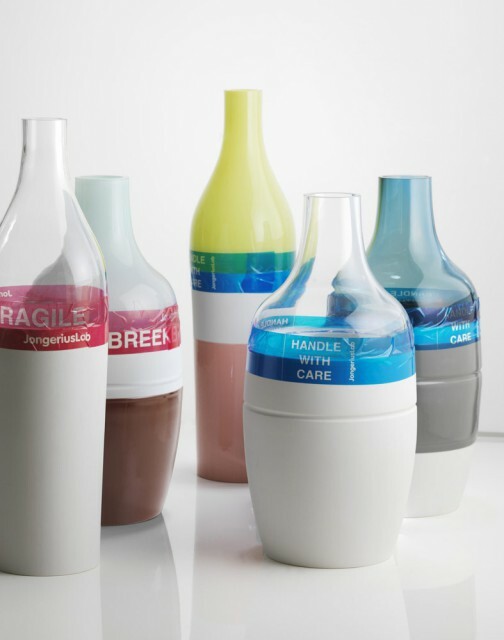 Because glass and ceramics, two traditional materials, become respectively soft and hard at different temperatures, the two can never melt and fuse together. 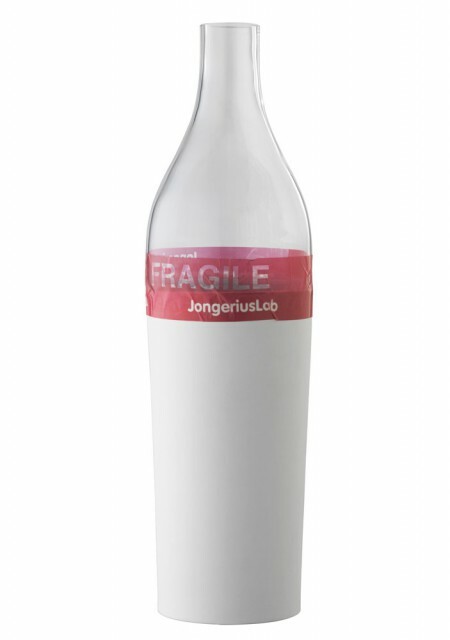 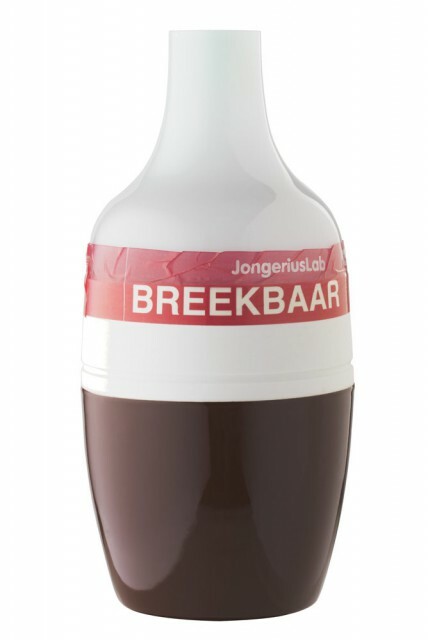 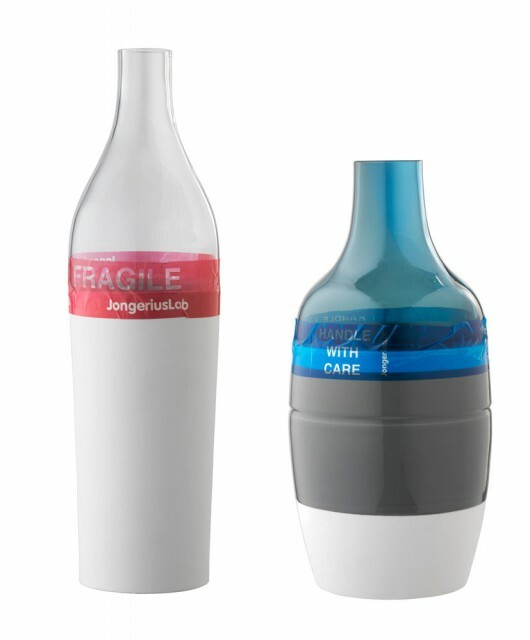 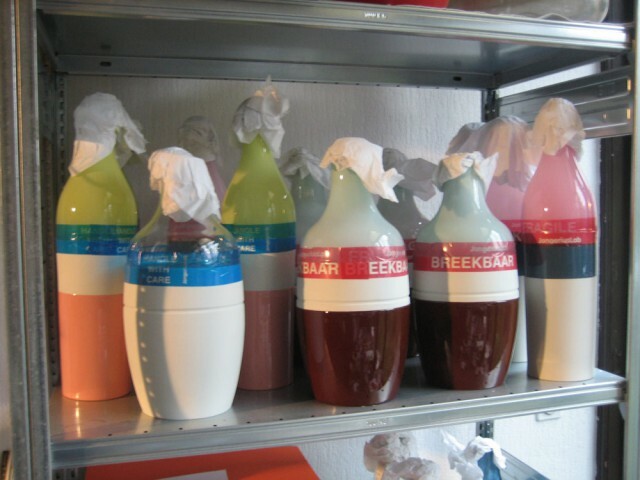 Therefore Jongerius chose to link them with a common type of tape, used for the packaging of fragile objects. 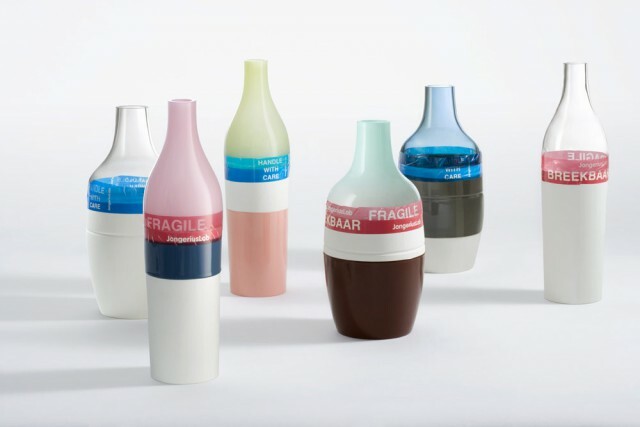 The usual hierarchy is reversed because a simple plastic tape has become the constructional device of each vase.